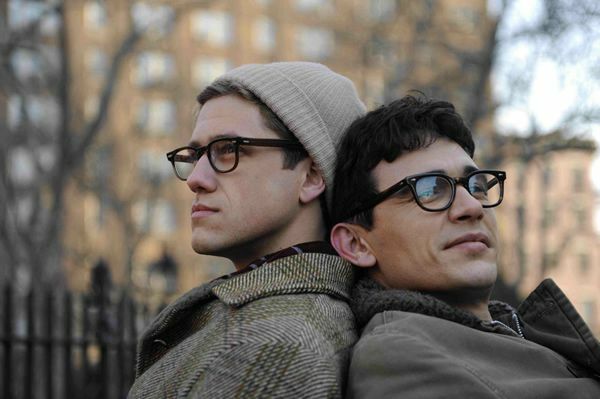 Distributor Oscilloscope will release Rob Epstein and Jeffrey Friedman’s Allen Ginsberg film Howl in theaters and on Video-on-Demand on September 24th. The film, which stars James Franco as Ginsberg, centers on the poet’s 1957 public obscenity trial. The flick, which also stars David Strathairn, Jon Hamm, and Mary-Louise Parker, opened this year’s Sundance Film Festival to mixed reviews. Hit the jump to read the full press release. New York, NY (April 22, 2010) – Oscilloscope Laboratories announced today that it has acquired U.S. distribution rights to 2-time Academy Award(r) winning director Rob Epstein and Jeffrey Friedman’s first dramatic narrative HOWL. Starring James Franco in a career-defining performance as Allen Ginsberg, HOWL is the story of how the young poet’s seminal work broke down societal barriers in the face of an infamous public obscenity trial. HOWL was the opening night film at Sundance Film Festival 2010 and also played in competition at 2010 Berlinale. The film was produced by Elizabeth Redleaf and Christine Kunewa Walker of Werc Werk Works, and Epstein and Friedman. Oscilloscope will release HOWL in theaters and VOD on September 24, 2010. In his famously confessional style, Ginsberg – poet, counter-culture icon, and chronicler of the Beat Generation – recounts the road trips, love affairs, and search for personal liberation that led to HOWL, the most timeless work of his career. HOWL interweaves three stories: the unfolding of the landmark 1957 obscenity trial; an imaginative animated ride through the prophetic masterpiece; and a unique portrait of a man who found new ways to express himself, and in doing so, changed his own life and galvanized a generation. HOWL features James Franco, David Strathairn, Jon Hamm, Bob Balaban, Alessandro Nivola, Treat Williams, with Mary-Louise Parker and Jeff Daniels.